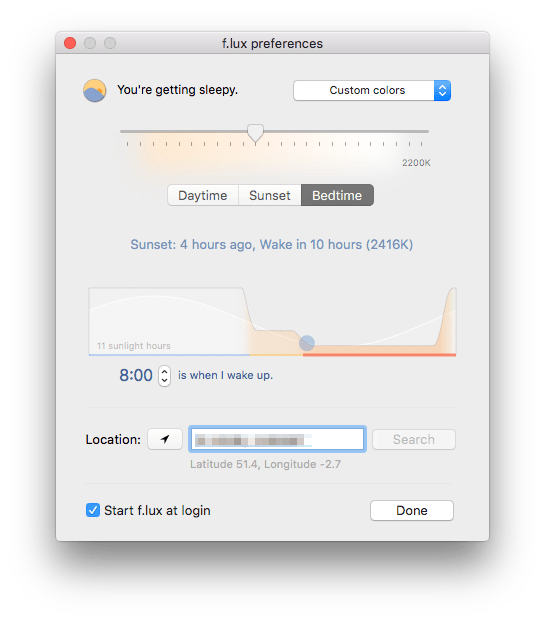 I finally downloaded f.lux, the colour-shifting utility that aims to improve sleep quality by reducing the blue light output of computer monitors just over a month ago. 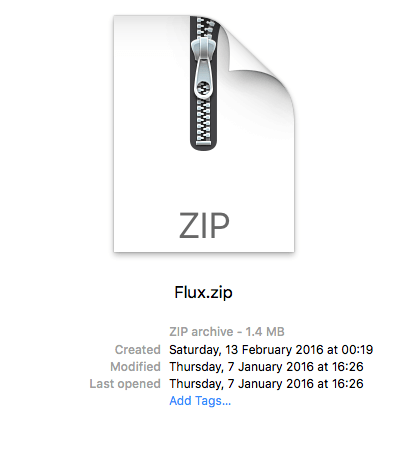 I’ve been meaning to give it a whirl for quite a long time, but I was always put off by the thought of installing yet another utility on my ageing iMac. You can imagine my surprise then, when I discovered that the app is just 2.6MB large small. I was truly astonished—it could well be the lightest app I’ve ever installed. I found f.lux’s default night-time setting to be much too red for me, so adjusted the colour temperature of the yellowest state to better match the light source in the room my iMac is in. For ‘sunset’ I chose 3400K—Halogen—and for night-time I settled on 2200K. Since installing f.lux over a month ago, I’ve noticed an improvement in the speed at which I get to sleep. I haven’t had a single evening where I’ve lain awake in my bed with eyes sore and throbbing, as I often used to after late-night computer sessions—despite the fact that I’m using a computer in the evenings more and more. 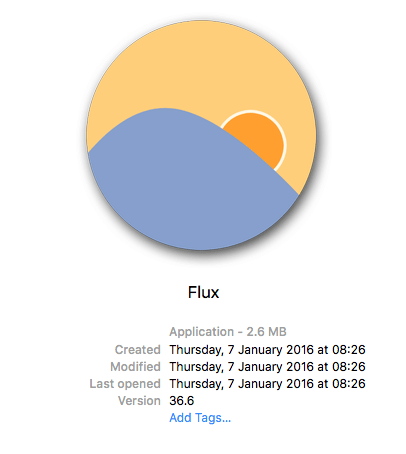 f.lux has quickly become a crucial utility for me, and I’ve installed it on all computers that I use. Others agree too.